It should, by all rights, be the one of the worst ads you've ever seen: A Hollywood has-been straddles two 18-wheelers at sunset while a nearly forgotten new-age song somberly drones along in the background. 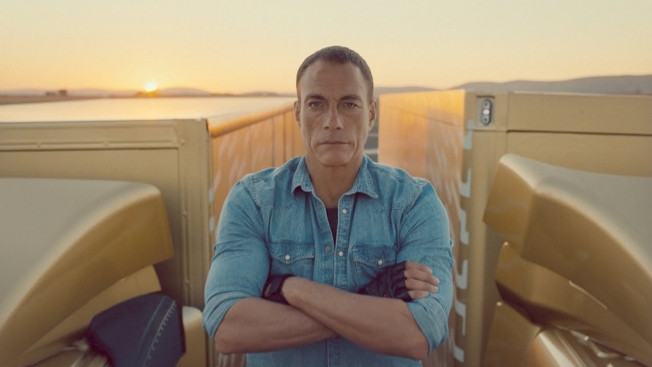 But "Epic Split," the viral masterwork from Volvo Trucks and agency Forsman & Bodenfors, is far more than the sum of its parts. It's a testament to boldness, blue-sky creativity and the willingness to have faith in your creative vision, even when it sounds patently ridiculous. "You have an old action star and you have a song that is out of date, and when you combine it, it's like a Tarantino movie," explained Björn Engström, one of the creative executives behind the video. "You combine two things, and suddenly it works." While he admits the video premise had its share of skeptics during development, its creators have since been widely honored as some of the world's most innovative and successful digital marketers. And this week, the team converges on the Cannes Lions, where "Epic Split" is a heavy favorite to take several of the ad industry's top honors. The sixth and final chapter in a hilariously odd campaign that redefined what b-to-b marketing could accomplish, "Epic Split" won a Black Pencil from D&AD and Best of Show at The One Show, which also honored Forsman & Bodenfors as Agency of the Year and Volvo Trucks as Client of the Year. They can almost certainly expect a similar caliber of honors at this week's Cannes Lions International Festival of Creativity. And while clients often shrug off ad awards as agency-world puffery, this client is happy to share in the joy because that strangely compelling video is selling the hell out of some trucks. "We see all the indicators showing this has been a very good investment—a relatively small investment—with a massive return," said Anders Vilhelmsson, PR director for Volvo Trucks. • Nearly half who saw the "Live Test" videos, including "Epic Split," said they are now more likely to choose Volvo the next time they make a truck purchase. • A third of respondents had contacted a dealer or visited a Volvo Trucks website to learn more. • The survey showed "a very positive impact on the perception of Volvo Trucks as an innovative and modern truck brand." "If we talk to our salespeople in our 140 markets all over the world," Vilhelmsson said, "they tell us very often one of the first things prospective customers bring up in conversation is the viral film." Not bad for a campaign with a literally nonexistent media budget. "Truck buyers are surrounded by a lot of influencers, and the largest group is truck drivers. And you can't reach truck drivers with traditional advertising," said Engström, senior partner and creative at Forsman & Bodenfors. "We needed to go broad, and we didn't have a media budget, so we decided viral was the only way to go." That decision led to many creative iterations of the "Live Test" idea, but despite praise for the series from critics and commenters alike, no one could have predicted the success of its last act, "Epic Split." "We realized in the process it was going to be the grand finale of this 'Live Test' series. We did everything to make it a success. We really had a lot of planning and PR," Engström said. "But you can never plan for a success like this. It's one of the most viewed ads ever on YouTube." Long before tallying more than 70 million views, it began like any creative concept: with a group of creatives, huddled together, trying to come up with an idea both strategically sound and audaciously unfathomable. "From the start, we had this idea of two trucks reversing and something was going to happen between the trucks," Engström said. "We presented a lot of ideas about what that could be." It wasn't until the team began talking to director Andreas Nilsson that the name was finally spoken: Jean-Claude Van Damme. The Muscles from Brussels. The martial arts legend who, when attacked with a 50,000-volt Taser in Time Cop, jumped effortlessly from face-down on the floor into the splits on a kitchen counter wearing nothing but his underwear. They clearly had the right man. But would he be up for it? In recent years, the ad industry had largely treated Van Damme like a court jester, best illustrated by his 2011 soliloquy on frozen pants for Coors Light. This time, he saw the creatives had something different in mind. Something truly odd, but also oddly respectful. "He loved it," Engström said. "I think he felt that this was an idea that was looking up to him, that made him out to be the action hero he really is. Not making fun of him like many ads had done before." With Van Damme's flexible legs and furrowed countenance on board, the conversation quickly turned to logistics and scripting. "We had to find out if it was technically possible and if it could be done in a safe way," Engström said. "And in this case, having a Hollywood action star, we also had to have a discussion about, 'Do we want him to be a spokesperson?' No, we said, we want him to show Volvo Trucks and be talking about himself. He's not doing an ad talking about how great Volvo Trucks are. He's talking about his own life, his ups and downs." Concept and copy complete, there was still a vital piece missing: the music. "We tried a lot of music before we shot the idea, actually. I think when [Enya's "Only Time] came up, we all felt it was great," Engström said. "There were lots of doubts about the song from people around us, but we never doubted." Almost immediately, "Epic Split" was a smash hit nearly unparalleled by any ad before it. Practically overnight, Volvo Trucks became one of the most successful and admired brands in the history of social media marketing. "The numbers have exploded, you could say," said Anders Vilhelmsson. "But views, subscribers—that's only one kind of measurement you can look at. We look at the comments, and we see people of all walks of life, truck drivers and people amazed by this type of film. It's really satisfying." To Vilhelmsson, the lesson of "Epic Split" isn't just to be intentionally strange for the sake of mass appeal. Instead, he believes all brands should be looking for similar ways to inform and entertain in equal measure. "I feel more that we have pointed to the obvious fact that if you want to communicate with people, you need to provide relevant content. You need to reach out on both an emotional level and a fact-based level because that's the only way to make people want to take part in the content." Meanwhile, at Forsman & Bodenfors, the team has barely had time to absorb each of its soaring honors before proceeding to the next festival and gathering up another wheelbarrow full of accolades. But this week? This week is special. This week is Cannes. "Winning at The One Show, winning a Black Pencil at D&AD—that was the greatest achievement in my life as a creative person," Engström said. "But Cannes is something different. Something special. It's like the world championship of advertising. It's very important to be there with the team, celebrating together. It's something else, something more than having an award."